Intensive management of type 2 diabetes can make a difference in how long and how well you live, even if you don’t start until middle age, researchers report. Not only that, they lived better -- their risk of heart disease, kidney disease and blindness all dropped. The only complication that didn’t seem to improve was nerve damage caused by diabetes. “Early, intensified intervention in type 2 diabetes patients with microalbuminuria with both target-driven pharmacological (medication) and behavioral actions increased life span. And, that extra life length is free from severe and feared complications,” said study senior author Dr. Oluf Pedersen. He’s a specialist in internal medicine and endocrinology for the Novo Nordisk Foundation Center for Basic Metabolic Research at the University of Copenhagen in Denmark. Microalbuminuria is the presence of small amounts of protein in the urine. It’s a signal the kidneys aren’t working properly and the first sign of diabetic kidney damage, according to the American Diabetes Association. Someone with microalbuminuria is at risk of developing other diabetes complications, because it’s a marker for generalized blood vessel damage, Pedersen explained. 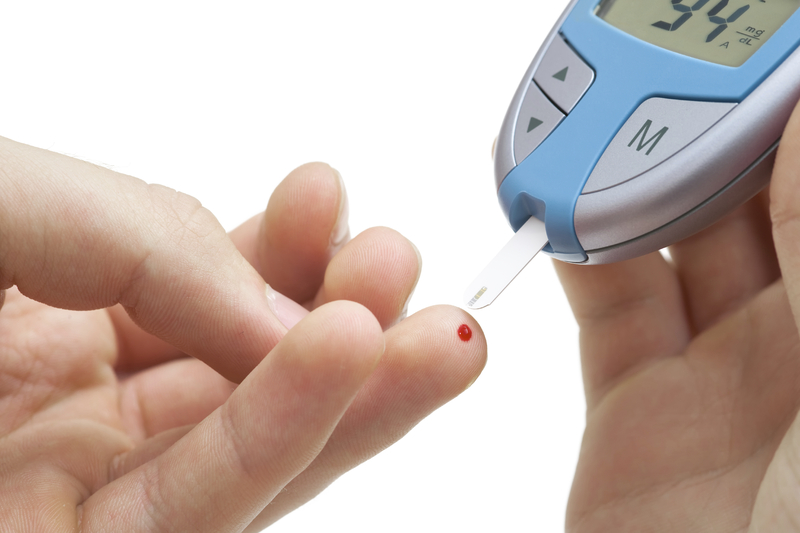 The new study included 160 Danish people who had type 2 diabetes and microalbuminuria. Their average age was about 55 when the study began in 1993. All were overweight, bordering on obese​, according to the study. Pedersen said the goal of the intensive treatment was to address all known modifiable risk factors for complications or early death. Those factors include blood sugar​, blood pressure, cholesterol and triglycerides, and the risk of blood clots. When appropriate, medications such as cholesterol-lowering statins or blood pressure​ drugs were prescribed. They were treated at the Steno Diabetes Center in Copenhagen for almost eight years. “They were constantly educated and motivated,” Pedersen said. The participants’ blood pressure went down. Good cholesterol rose, while bad cholesterol and triglycerides went down. Not surprisingly, blood sugar levels also dropped. Dr. Joel Zonszein is director of the Clinical Diabetes Center at Montefiore Medical Center in New York City. “These results are impressive, and the message is important. Physicians are not being aggressive enough, and aren’t treating to targets at the beginning,” he said. “If you look at all the factors they (the Danish researchers) treated, about 80 percent of the U.S. population isn’t treated correctly, according to national surveys,” said Zonszein, who wasn’t involved with the study. Zonszein added that another researcher did a sub-analysis from this data to see which factor made the most difference. “It was mostly giving statins​ that made a difference,” he noted. And that’s good news, since statins are available in generic form, making them affordable for most people, he said. But it’s not clear if the study results would be as impressive if done in an American population, Zonszein said. “There would definitely be an improvement with intensive treatment, but the population here is very diverse, and would lead to different results,” he said.